Finding the right renovations contractor in Edmonton can be the toughest part of a remodeling project! Hire the wrong contractor and even simple renovations can quickly become a nightmare. The right contractor, on the other hand, can help you make your dreams a joyful reality. How long have they been in business and where is their base of operations? It’s critical to know that your contractor is known in your area and that he has been around long enough to have built a reputation. Do they have a website, permanent address, permanent phone number, cell phone and voicemail? These are all evidence of stability and reliability. Are they insured, bonded and licensed to work in your area? And, ask to see documentation! A “no” to any of these questions could spell trouble. Being properly insured means you aren’t responsible if a worker is injured on the job, or if an accident damages a neighbour’s property. Being licensed certifies that the contractor has knowledge of building codes and processes and has taken the time for course work and rigorous tests to update his or her knowledge. And being bonded is a plus — the contractor, subcontractors and workers will be in your home for extended periods and you want to feel secure about that! Oftentimes, subcontractors will do elements of the work. This is a plus in the sense that subcontractors are specialists and are apt to do their job well. The downside is that you don’t know them. Find out who they are and research their credentials. It’s also a comfort to know to whom you are giving access to your home! Can you see work samples? It’s important to see pictures of past work done by the contractors you are interviewing. Not only will it give you ideas for your remodel, but it will let you see first-hand the quality of the work you can expect. 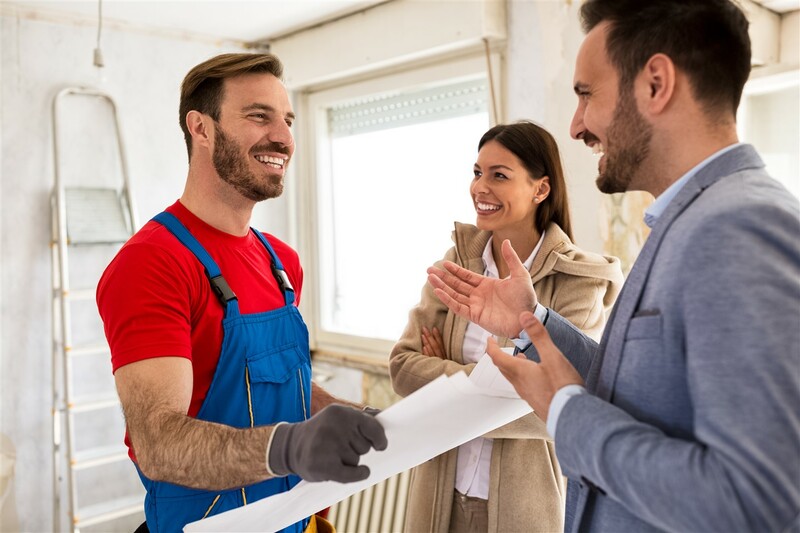 Talking to people the contractor has worked for before can help you determine if they are reliable and whether their work is good quality and done on budget. Would they hire the contractor again? Better yet, ask your friends, family and neighbours if they can recommend contractors for the job you want done. Word of mouth is by far the best way to find the right contractor for the job! Need home renovations in Edmonton? At MLW Contracting we have over 40 years of experience doing quality home renovations in Edmonton — on time and on budget! Contact us with all your questions regarding your home renovations project in Edmonton — large or small. We have the reputation and experience to back up our work. At MLW Contracting we are your renovations contractor in Edmonton! Call us for home renovations in Edmonton.